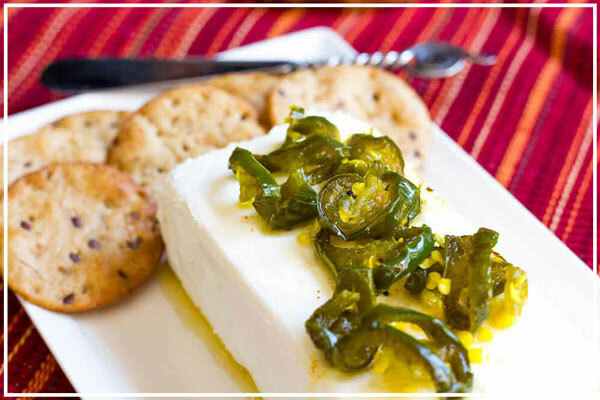 Candied jalapenos, also known as Cowboy Candy, are softened jalapenos that are cooked in a sugary-vinegary-delicious syrup stored in Wide Mouth Glass Canning Jars. They’re perfect for adding to sandwiches, tacos, burgers, beans, toast, and even crackers topped with cream cheese! 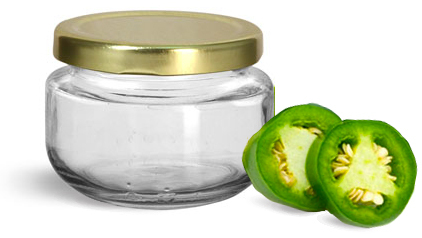 Check out the recipe for how to make these candied jalapenos using Wide Mouth Canning Jars, so you can enjoy them all year long! For more great recipes check out the Homemade for Elle blog! Combine apple cider vinegar, sugar, and spices in a large pot. Bring to a boil. Reduce heat to medium, and simmer for 5 - 7 minutes. Stir in sliced jalapenos and continue simmering for 5 minutes. Keeping the syrup in the pot, transfer jalapenos to sterile Wide Mouth Canning Jars, using a slotted spoon, filling the jars to 1/4" of the top. Turn the pot of syrup to high and bring to a boil. Continue boiling for 5 - 7 minutes, until it starts to thicken. Ladle syrup into each glass jar, over the jalapenos. Fill the jars to 1/4" of the top. Wipe the tops and rims of the jars with a wet, clean paper towel, then secure each jar with a finger-tip tight lid. Place the glass canning jars in a large stock pot, making sure that each jar is covered with water by 2". Bring water to a boil. Boil jars in water for 10 minutes, then remove with canning tongs and place on a cooling rack. Let them cool for 24 hours, then label them, and store them for up to 1 year!